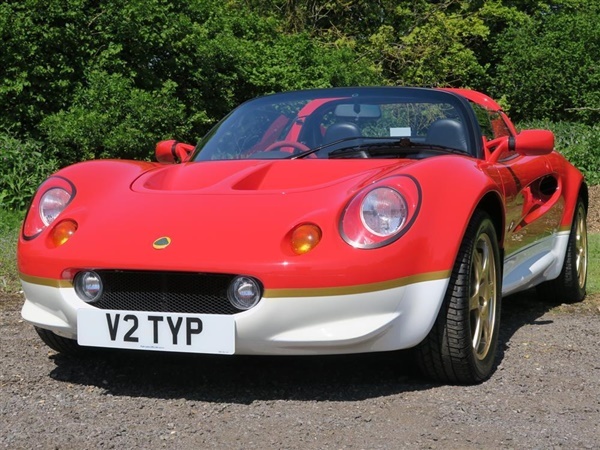 We are delighted to have taken into stock this exceptional Lotus Elise Series 1 Type 49. 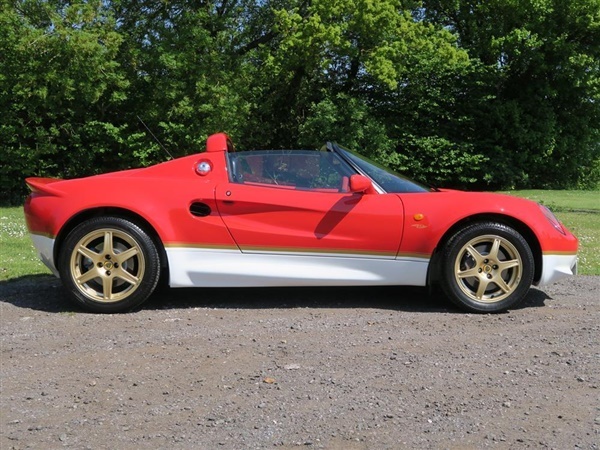 It is, of course, finished in the stunning Gold Leaf colour scheme of Calypso Red & Monaco White with the gold dividing line. 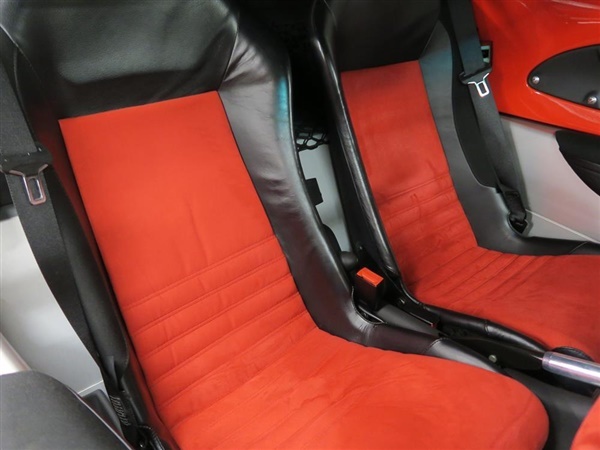 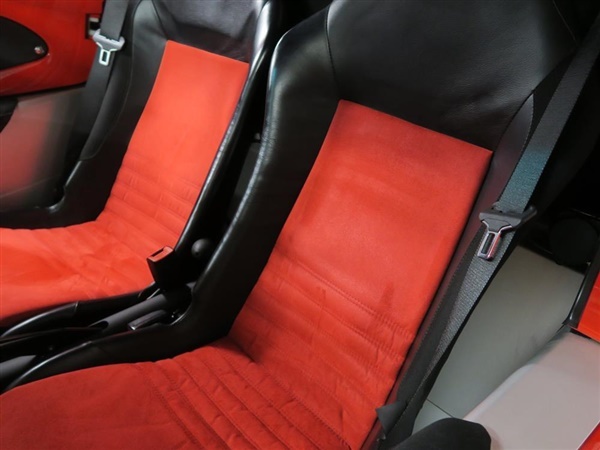 The inside compliments perfectly in black leather with red alcantara. 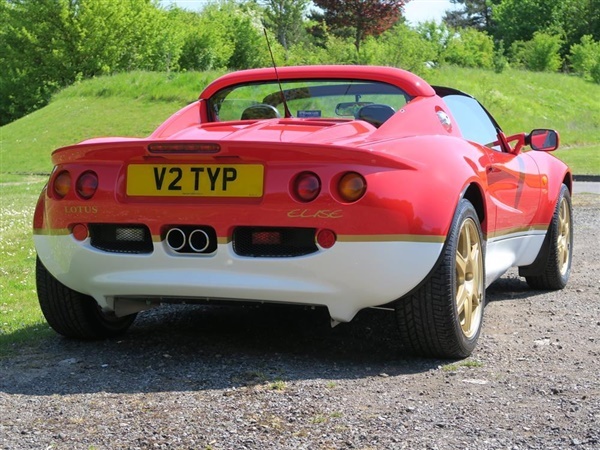 This car was the 16th 2000 model year car produced of just 40 standard Type 49 cars for the UK market, and is virtually unchanged from the day it left the Hethel factory other than a sports exhaust back box and a quick shift. 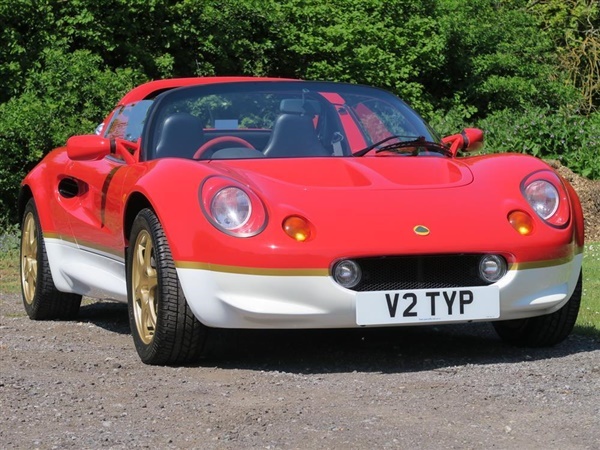 The car also has a custom made soft car cover showing off the lines and also the Type 49 logo, it will be supplied with the personal plate as photographed. 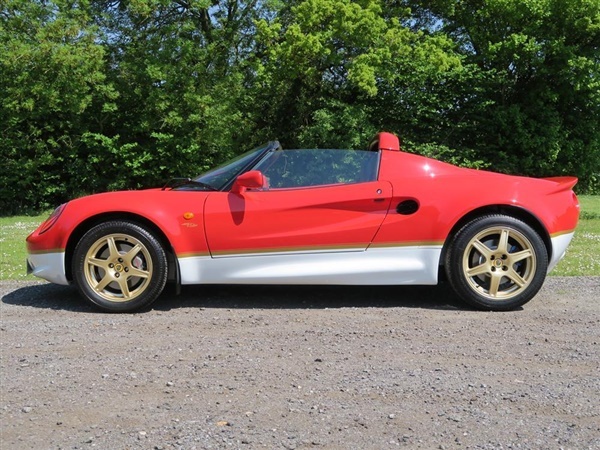 Having covered less than 10,000 miles from new this amazing example is surely one of the best (if not THE best) in existance and is a credit to its previous keepers. 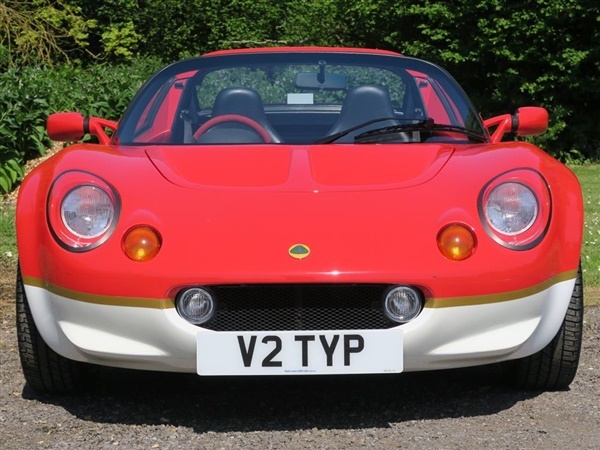 It is likely an excellent investment for the future and certainly a lovely car to own and drive now!